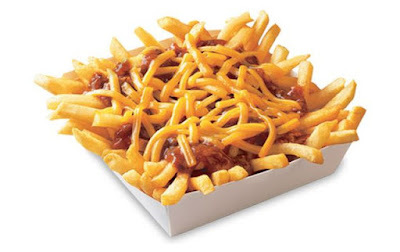 Wienerschnitzel will be offering a deal for 99-cent Chili Cheese Fries all day on January 1, 2018 in celebration of the new year. The promotion is good at participating location with a limit of five discounted orders of Chili Cheese Fries per person. The fries normally go for over $2 per order. The chain's Chili Cheese Fries feature shoestring French fries topped with their signature chili and shredded cheddar cheese. You can find my review of them here.